I went on my first hunt with Milky Creek Safaris in 2002. 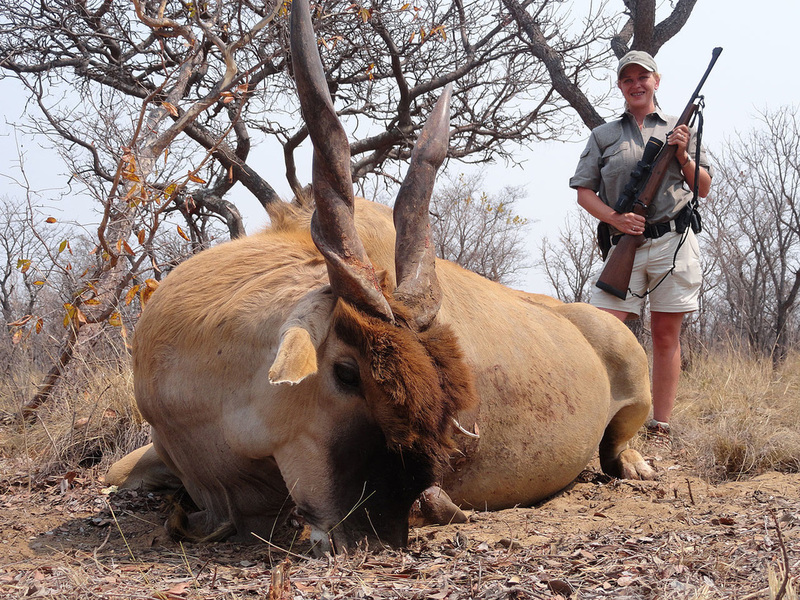 Since then, I have hunted all over South Africa on six different safaris with Martin. We have hunted many many different species together, and each one is a memory that I will always cherish. I now hunt with Milky Creek Safaris every year and start planning my next hunt on the plane ride home. Milky Creek Safaris is a family-operated safari company that truly makes you feel welcome and comfortable. I cannot think of better outfitter for a first-time African hunter, and can assure you that you will have a trip you will always remember. I am proud to be the U.S. booking agent for Milky Creek Safaris. I will be glad to assist you with any questions you may have and help you through the process of preparing for your hunt. It is our goal to make your dream hunt a smooth process from the planning stages to follow up after the hunt. I simply love Africa in general, and specifically the hunting and friends I’ve made there. Through the years I’ve been to Africa over 25 times and hunted in five African countries. I plan to go to South Africa again in 2016. 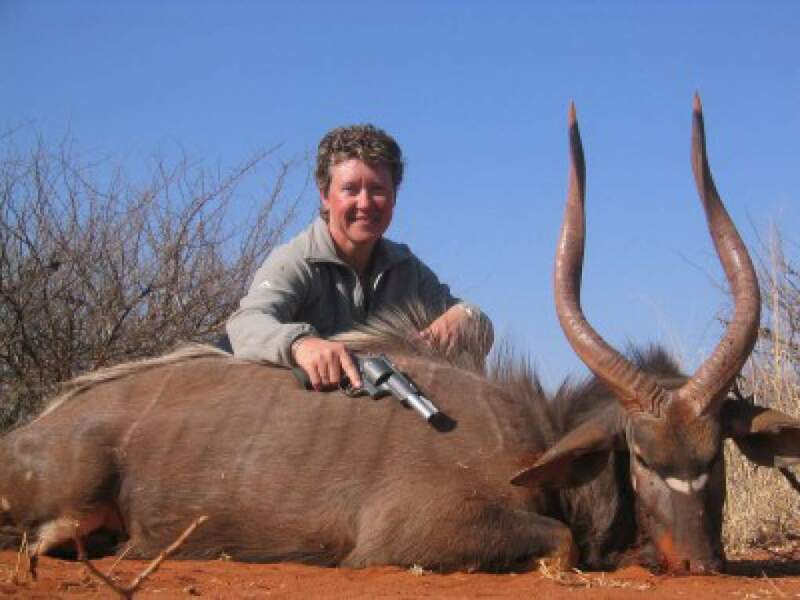 As with all hunters who go to Africa, I’ve had good and bad experiences on these trips. 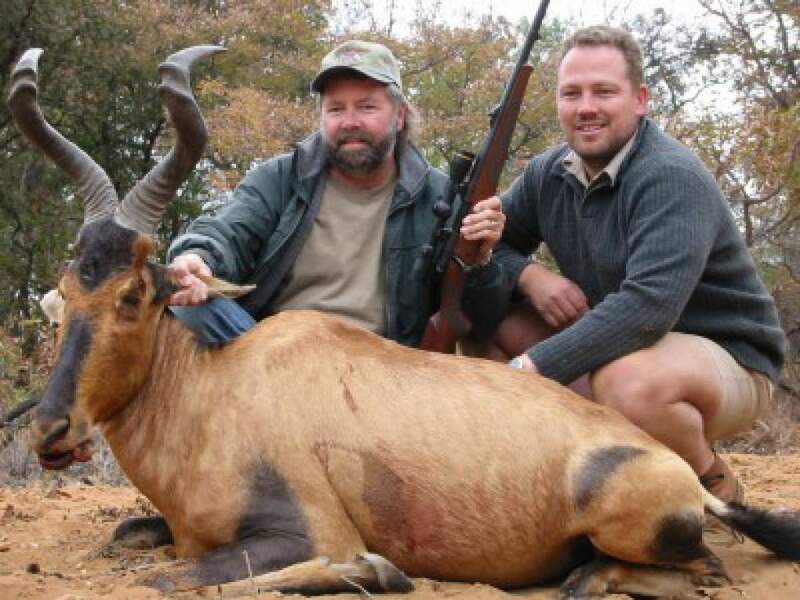 Hunting Africa, like anywhere else, is a major gamble if you do not book with people you can trust. Over the past 10+ years I’ve spent a lot of time in the camps of Milky Creek Safaris (Martin Booysen PH), and can personally assure you that it is one of the best values in game hunting in South Africa. I have a game farm of my own in the same Limpopo area of South Africa (it borders one of Milky Creek’s concessions), so booking clients for these terrific people seems a natural. All I can say is that I’ve hunted numerous times with Martin, and have simply had a blast every time. 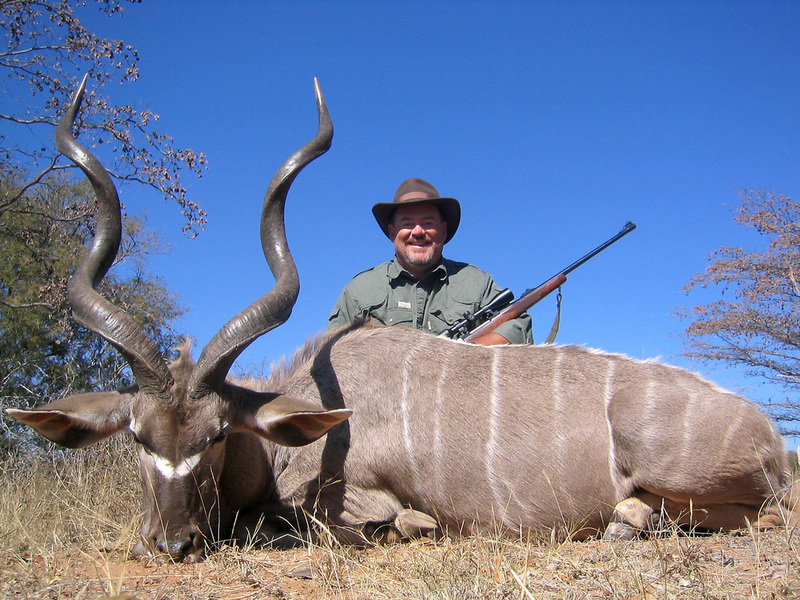 Milky Creek Safaris is run by Martin Booysen, the local IDPA ramrod for the Vaalwater club. Martin is a very good hunter, a GREAT guy to spend time with, and will definitely make sure you have an enjoyable hunt. He utilizes nice traditional safari camps (that are only a 3 hour drive from Joberg airport), and hunts concessions that have good quantity and quality game. His gear is effective, and he and his wife Amelda are awesome cooks. 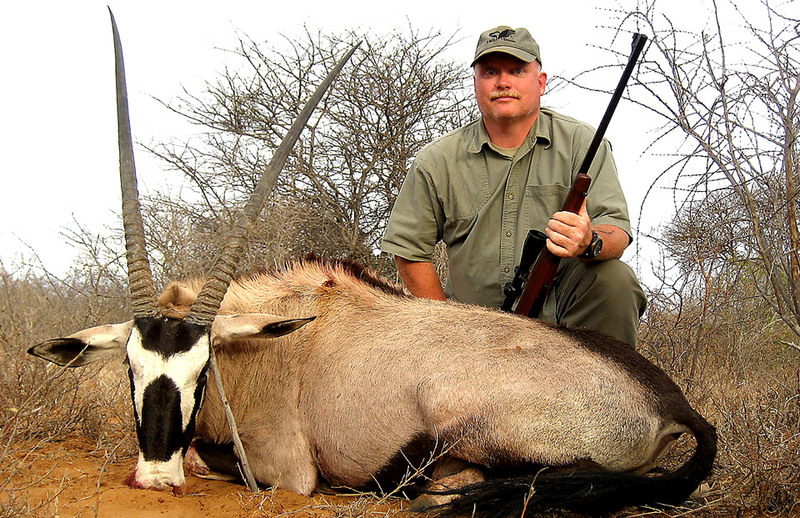 Milky Creek is the best deal I know of to experience quality African plains game hunting at a minimal cost. Joyce and I have hunted with Martin at least once a year from 2001 thru 2006 and every other year since. South Africa’s primary hunting season is May – September, with May – July being the optimum months. Joyce and I usually go in July to beat some of the hot and humid Texas summer. Hope to share an African campfire with you someday. I’ve been fortunate to hunt with Martin at Milky Creek Safaris for several years now. We’ve taken everything from plains game to leopard and lion. Martin and Amelda are wonderful hosts both in the bush and in camp. They make each experience a once in a lifetime event. Between the excellent hunting and food and the wonderful friendships, being in camp with them is like being with family. I could never thank them enough for all of my wonderful experiences in all of the different areas of Africa. ​Hope to see you in Africa soon! Being in Africa with Milky Creek Safaris is like being in another world. Until you have experienced it yourself, you cannot imagine how beautiful it is. I especially enjoy seeing all the unique animals in herds and the amazing sunsets. The whole experience is so relaxing and peaceful, I can’t wait to go back myself. Martin and his family truly make it a special experience that brings Africa into your blood. I had great expectations hunting in South Africa for the first time. Thanks to Martin and the wonderful staff and family at Milky Creek Safaris they were exceeded in every way. From the minute we arrived at the airport I felt like I was part of the family. I’ll never forget getting out of the car at camp as complete strangers brought together by good friends and a love of hunting. Within minutes we were friends for life. The country was beautiful, the accommodations were outstanding, and the hunting was unbelievable! An accomplished hunter himself, Martin knows what it takes to see that you have an opportunity to take the trophies of your dreams. And the food. There is nothing that compares to sitting around a campfire at the end of a long day of hunting, watching Martin cook the kill of the day over an open fire, and sharing that meal with friends and neighbors. There is nothing like it… Milky Creek Safaris will make your dreams come true. I met Martin on my first African Safari in 2005, through my good friend Bill Wilson. I have been on four hunts to South Africa in the following years, and Martin has been my Professional Hunter for all of them. Milky Creek Safaris operates in some of the best hunting areas in the country and offers exceptional trophy quality. Like most hunters I have always dreamed of hunting in Africa, but wasn’t sure just how to go about making that come true. Martin made it very doable for me. He can tailor a hunt to meet your needs as well. 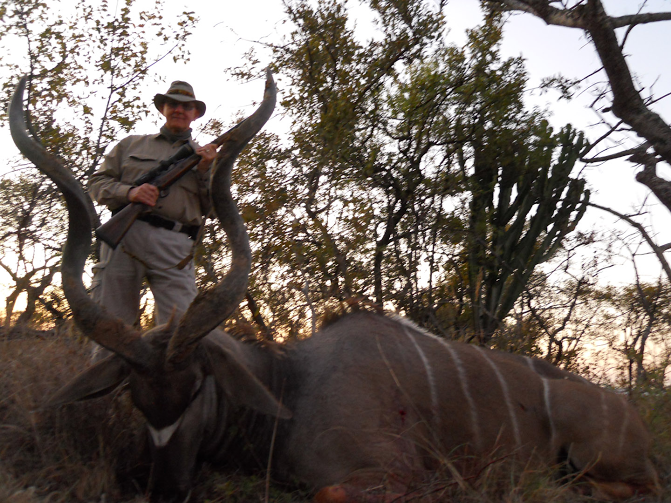 I would highly recommend Martin and Milky Creek Safaris to anyone looking for a top quality African hunt. 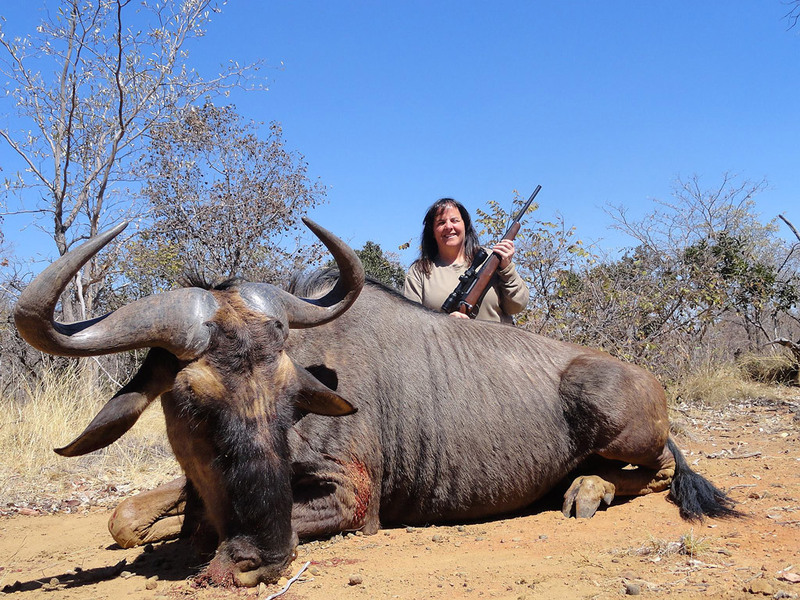 ​For me, 2015 was the year -- I finally had the opportunity to fulfill a fifty year dream and hunt in Africa. 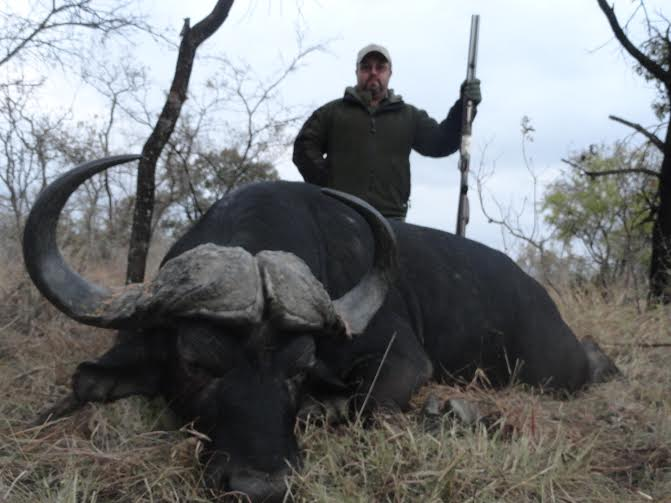 I was fortunate enough to be directed to Martin Booysen of Milky Creek Safaris for my first African hunting experience by his US booking agent, Ryan Wilson. I was in South Africa for an 11 day safari this year with Martin, and I have to say he is a true professional who has an extensive knowledge of the flora and fauna found in the very unique Waterberg biosphere, as well as an intimate understanding of the indigenous game animals' behavior. Martin has access to a large number of hunting concessions, which greatly enhances the hunting experience. While my hunt was successful, by no means was every day successful -- several days netted only a day of hard hunting, beautiful scenery, some serious four wheeling, and no game. Every true hunter understands that unsuccessful hunting days are one of the reasons that it is called "hunting" instead of "shooting." During my time in South Africa with Milky Creek Safaris, I was fortunate to take the game I was seeking, and as a bonus, was able to take a beautiful Nyala on my final hunting day. Both before and during the safari Martin sought to discover exactly what my expectations were and worked extremely hard to ensure they were met. I can only say again that I had very lofty expectations, fed by fifty years of reading and dreaming of hunting Africa, and Martin Booysen of Milky Creek Safaris completely exceeded them in every way. Camp life is an integral part of the safari experience. When the group I was with arrived, we were greeted by the entire camp staff, Martin's wonderful family, and a second PH, Johan Human. The camp was comfortable and modern, and the total dining experience was greatly enhanced by Amelda's fabulous cooking. If you don't force yourself to push away from the table, you WILL gain weight! They told me before my arrival that I would come as a client and leave as a friend. They were absolutely right! I was also told that Africa is an addiction that you once "tasted," you would spend all of your time on the flight home planning for your return. This is absolutely true -- I am already booked for a return in 2017! 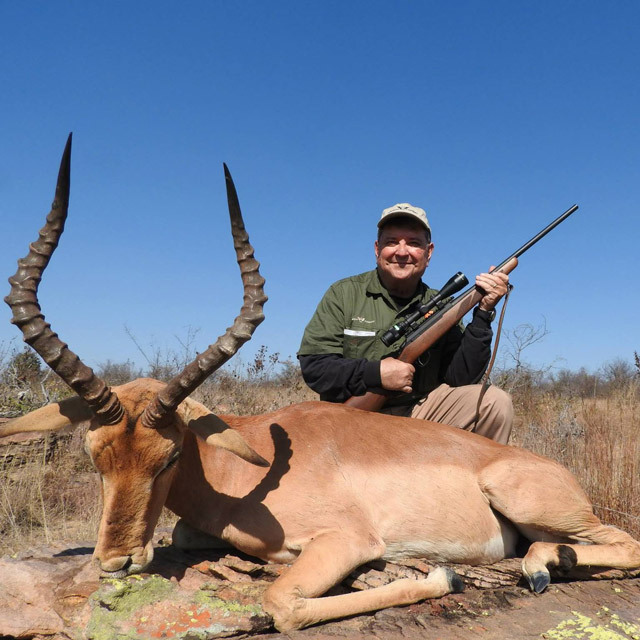 If you are looking for a Professional Hunter to guide you on your first African safari, or your tenth, I would strongly encourage you to consider Martin Booysen of Milky Creek Safaris. You won’t be disappointed! The prospect of hunting game in Africa has always intrigued me, so when the opportunity arose to hunt with the folks at Milky Creek I jumped at it. But I have to admit I had my doubts about my ability to hunt game at this level. Would I have the stamina to go the distance at age 62? And the only thing I had hunted recently was Texas wild boars. Was hunting in Africa really a good idea for me? I should not have worried; the guides at Milky Creek took great pains to make sure I had a successful and rewarding hunt. These guys know what they are doing! Their knowledge and field craft is amazing. They put me on animals for a shot and then it was up to me. I took seven animals with nine shots, including my first round that sailed over the back of my target due to “buck fever.” After that shot it was smooth sailing. If you can consistently put rounds into a four-inch circle at 100 yards, the Milky Creek guides will make sure you bring home some trophies. The accommodations were very good and the food was excellent. The guides and staff take care of everything. This was truly the trip of a lifetime.